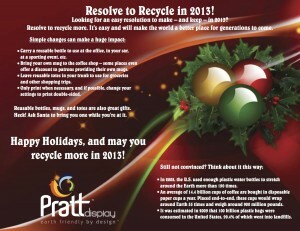 Pratt Industries Display division launched a sustainability education campaign in late 2012 with the purpose of empowering employees to “green” the division’s three regional office operations. The themes of the communication change but the focus is always on providing recycling tips appropriate for both the workplace and home, quantifying waste diversion in tangible metrics and motivating individuals to do their part. Since inception nine months ago, five e-mail blasts have been distributed to Pratt Display’s more than 100 employees. 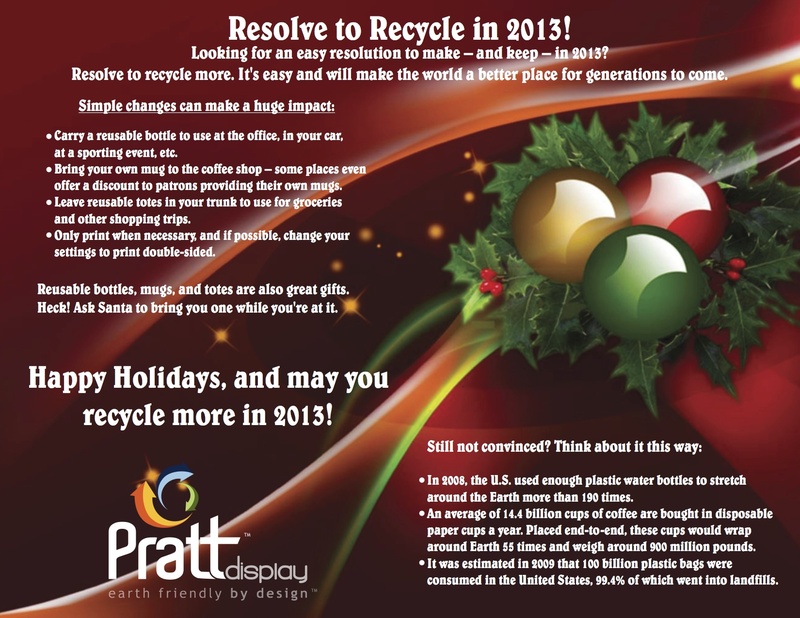 The campaign debuted just before Christmas 2012 with holiday-themed artwork, last-minute sustainable gift ideas, and a personal message from Connors challenging employees to “resolve to recycle more in 2013”. Subsequent blasts covered Earth Day, including ways to celebrate, and tips for reducing one’s environmental impact during the hot summer months. 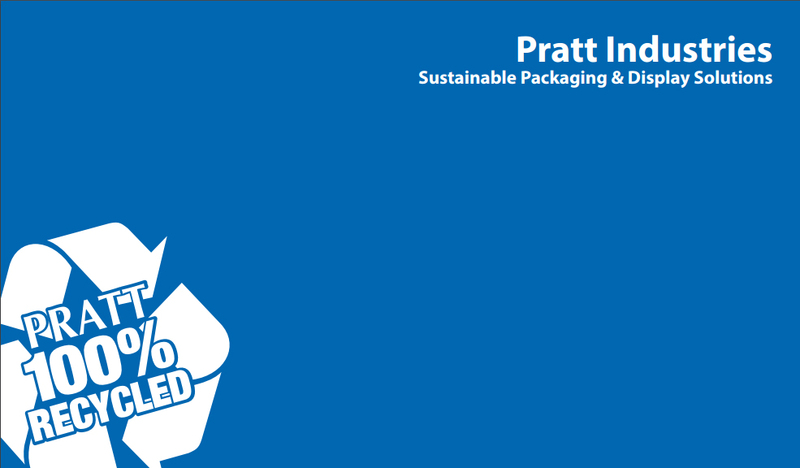 “The campaign correlates perfectly with Pratt Industries overarching commitment to responsible manufacturing practices, and it made sense to apply the same to our office operations. We’re challenging our employees and ourselves to be better environmental stewards,” said Connors.